What a difference! 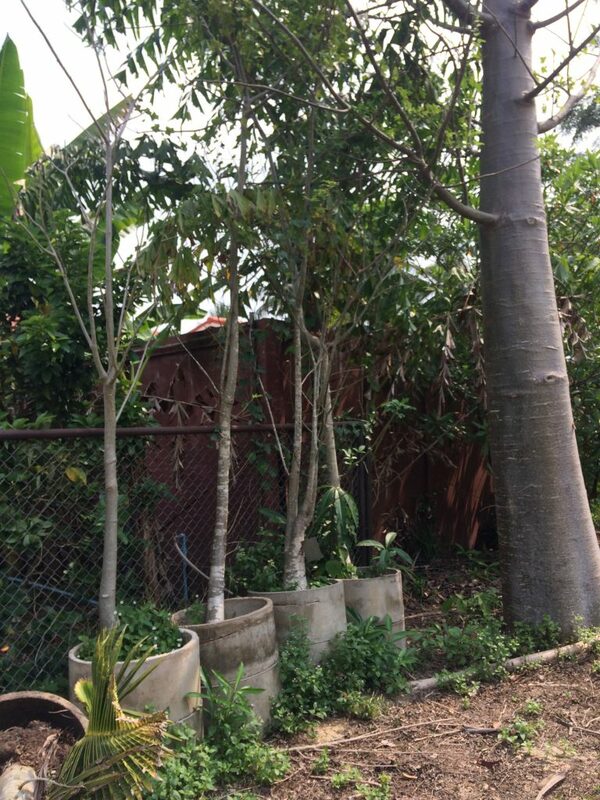 On the left hand side you see some African Baobab trees (Adansonia digitata) kept in concrete rings at one of our two Thai garden locations. On the right hand side you see the same kind of Baobab planted in the ground six years ago. All are eight years old, but the concrete rings worked like a straight jacket so those Baobab trees can still be moved and sold in Thailand and Laos. 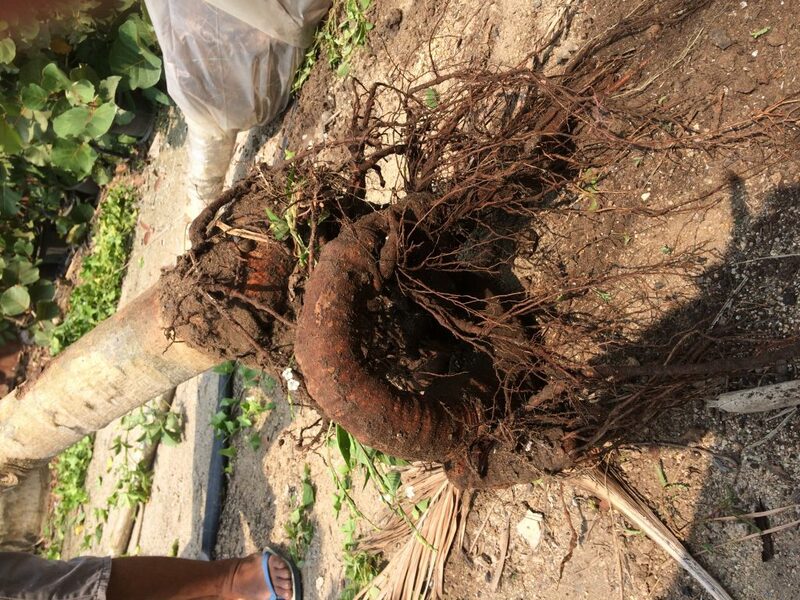 Since this Baobab fan was located close to our Pattaya garden, we delivered the two giants to him.His two Baobabs should take off quickly now. 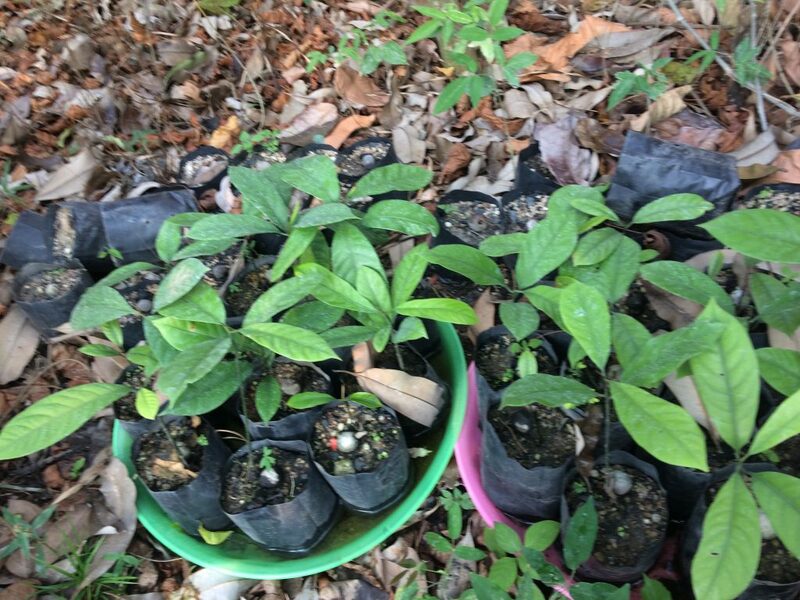 We have fresh nutmeg seeds and seedlings for sale that can be sent all over Thailand or picked up at our Nong Khai location if you happen to be in Laos. We have different nutmeg plant sizes grown from seeds. Only fresh nutmeg seeds can germinate and it takes several years until they fruit. 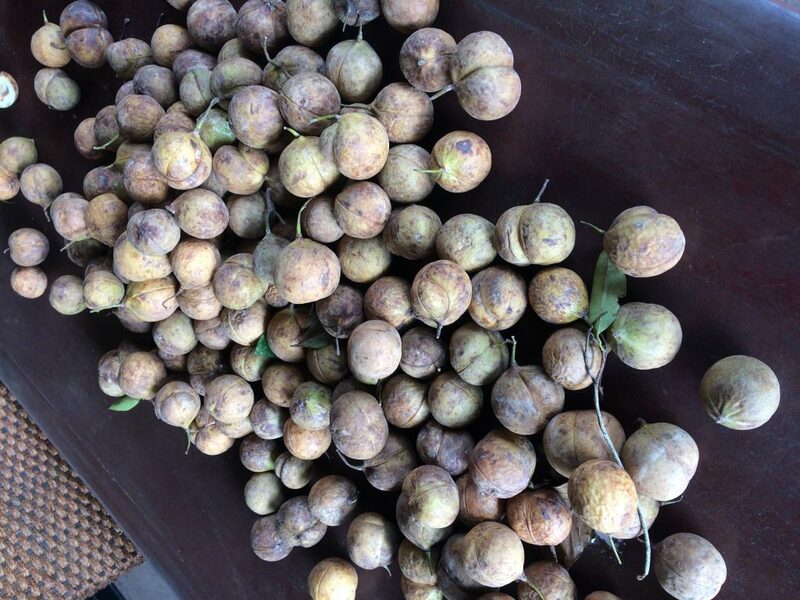 The closed ripe fruits of the Thai and Lao nutmeg trees fall to the ground and open up within a few days. 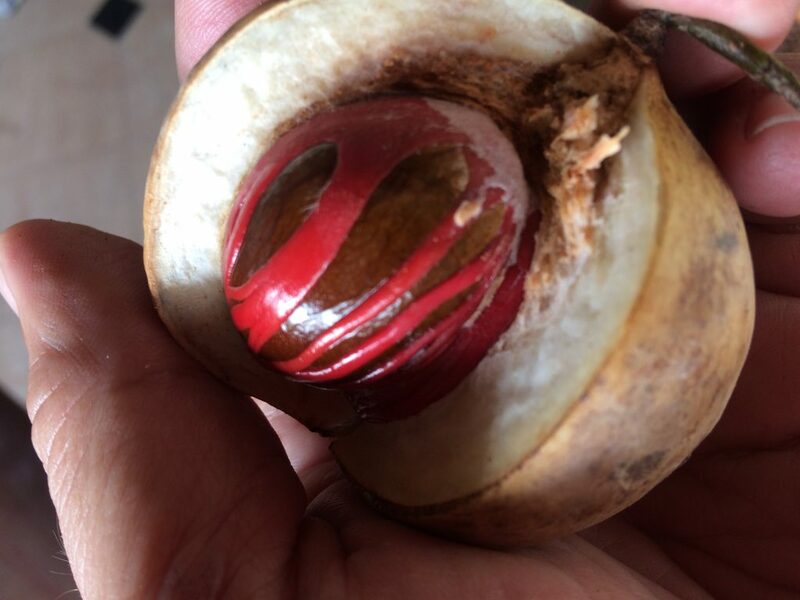 When the nutmeg shells open up, you can see a red or white skin over the nut. This is called maze and can be dried and ground, then used as a spice similar to the ground nutmeg. Both, nutmeg and maze, are used in Thai and Lao cuisine. 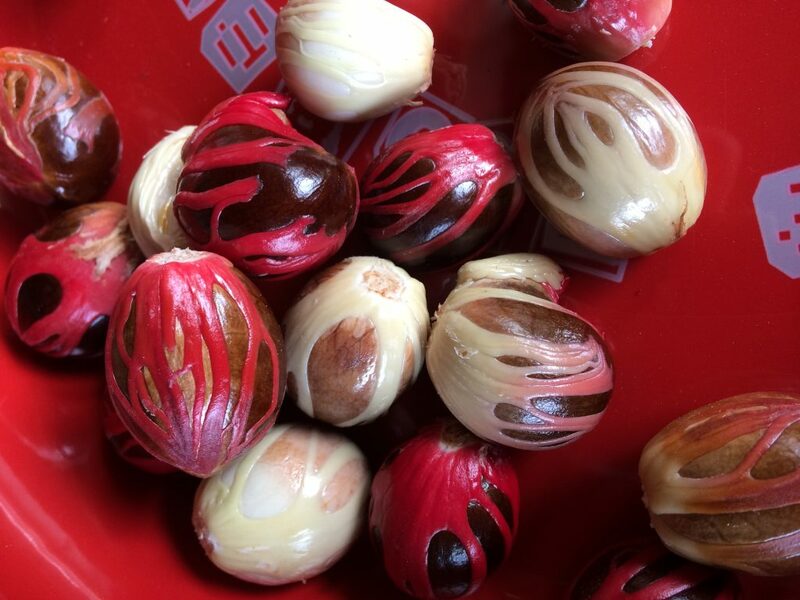 The fresh nutmeg seeds have to be planted as soon as possible once the protective shell has opened up, they can only germinate if planted in the first 10 days after the shell has opened. 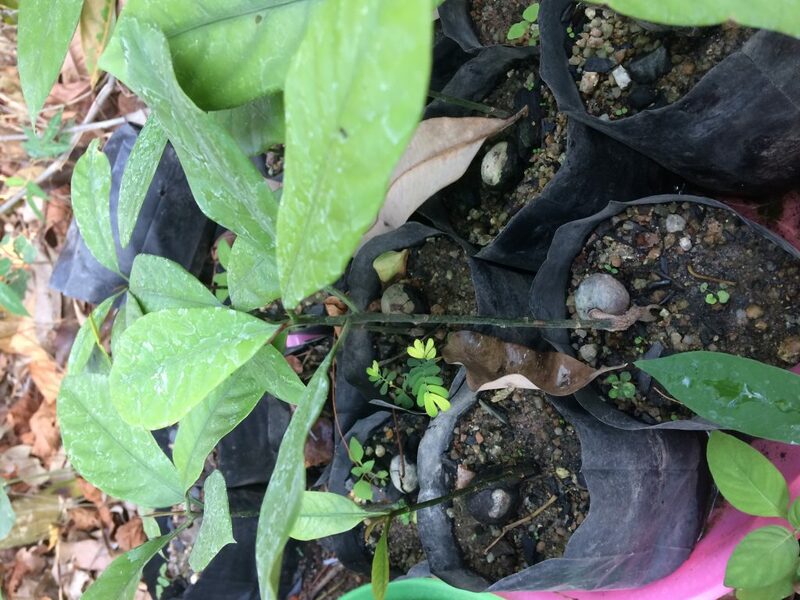 Nutmeg seeds or seedlings are hard to find in the plant markets of Thailand and Laos, but can be ordered with us. The seed is placed on top of the soil, just half covered, half on the surface. Then the nutmeg seed will first root, later shoot up. 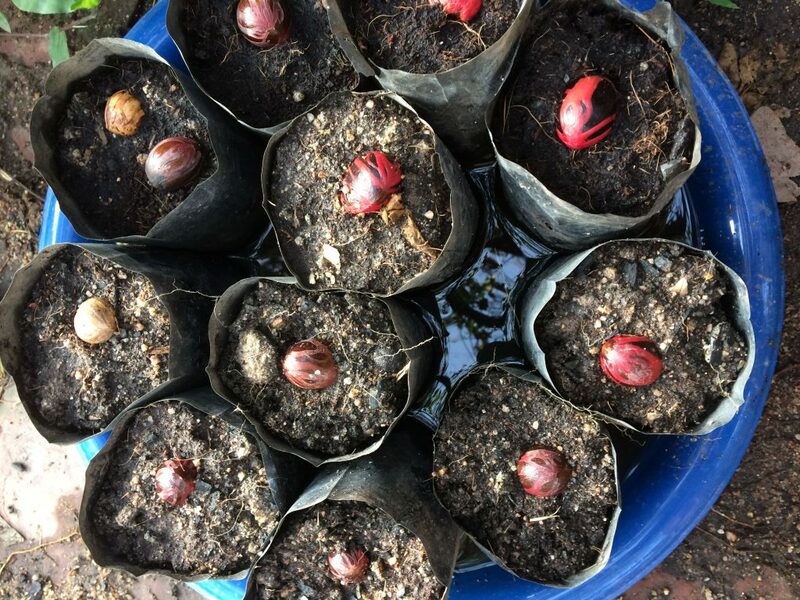 We can only mail nutmeg plants up to 1 m to your location in Thailand or Laos, for bigger plants inquire about delivery or visit our gardens in Pattaya and Nong Khai. Our grafted Booth 7 Avocados are flowering right now and will produce delicious fruits in Thailand and Laos in about six months. This Avocado variety has round fruits with a nutty taste. 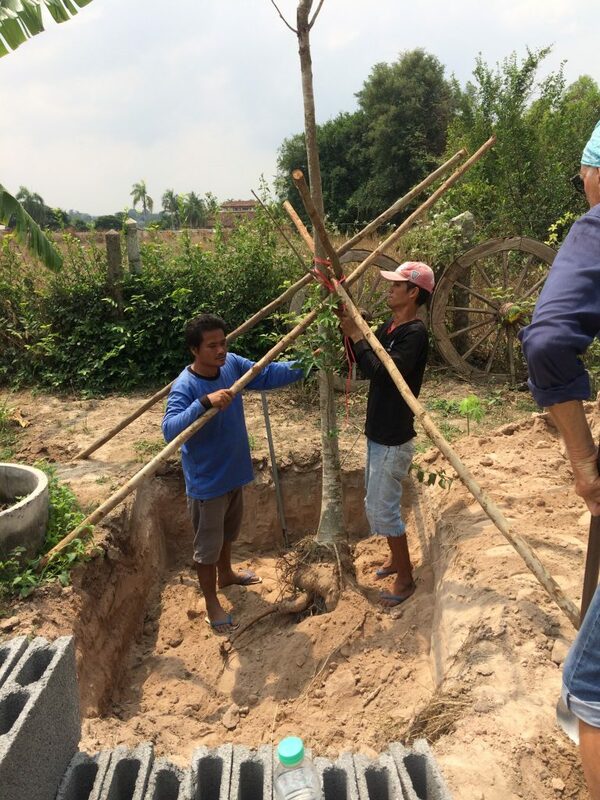 We sell grafted Avocado trees in Thailand and Laos. 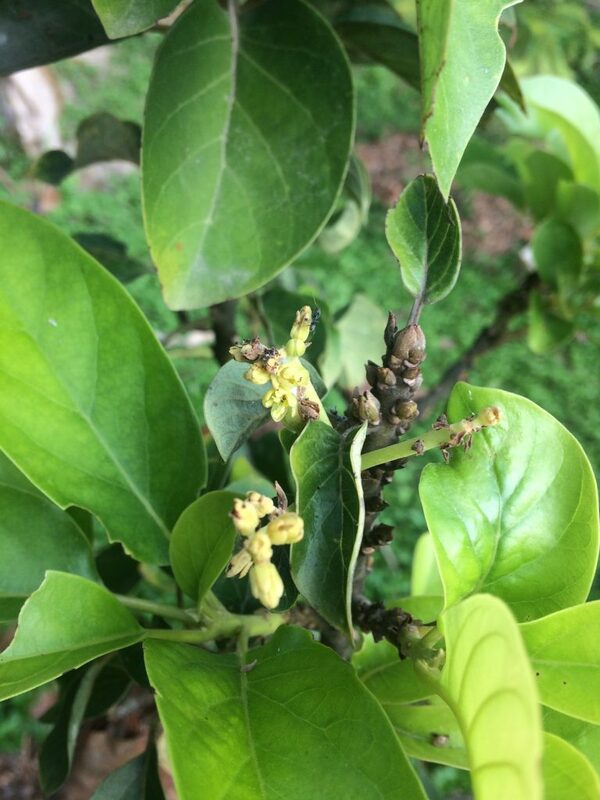 The flowers of our grafted Booth 7 Avocoados can produce fruits immediately. 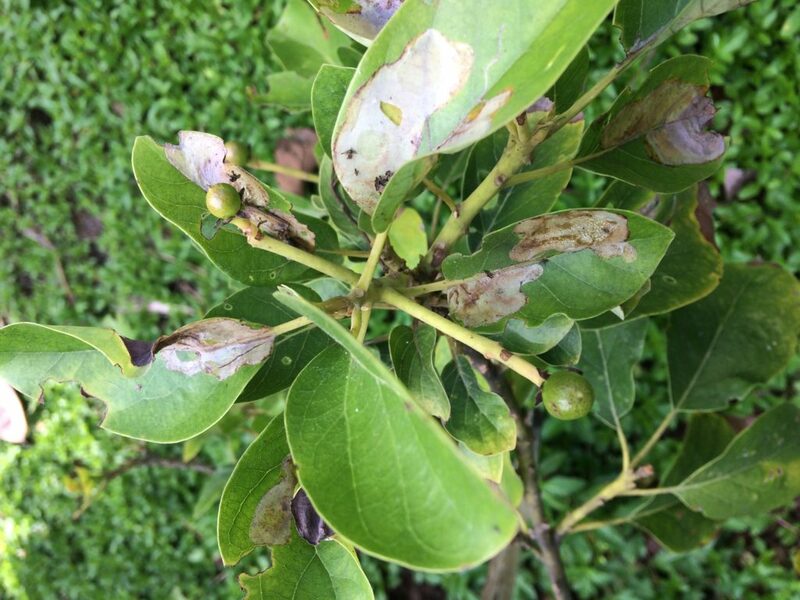 Thanks to our two locations in Pattaya and Nong Khai, we can send rare plants all over Thailand delivered to your home or – if you are in Laos – you can get grafted Avocados from our Nong Khai location. 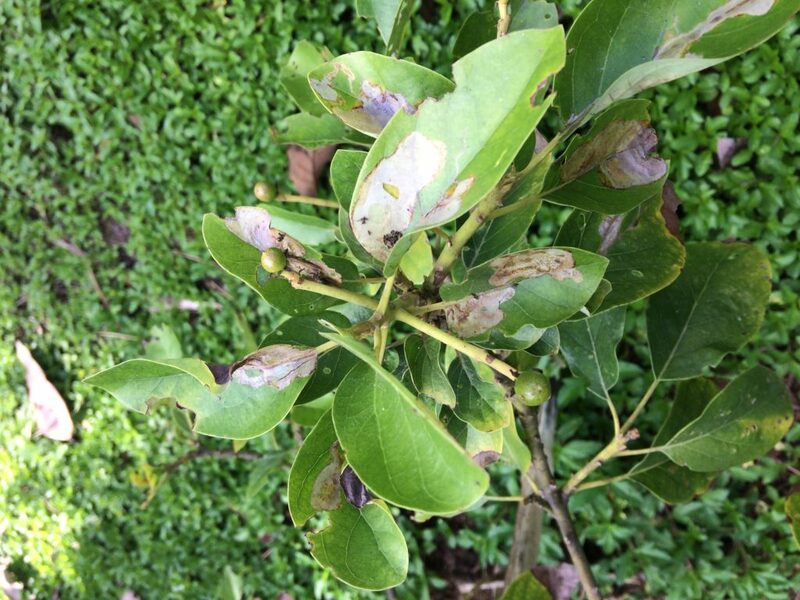 The leaves are damaged right now, but will recover soon.